Horses that have won or placed in each of the last three runnings of the National Hunt Chase at the Cheltenham Festival went on to victory in one of the three most valuable jumps races in the UK in 2018. 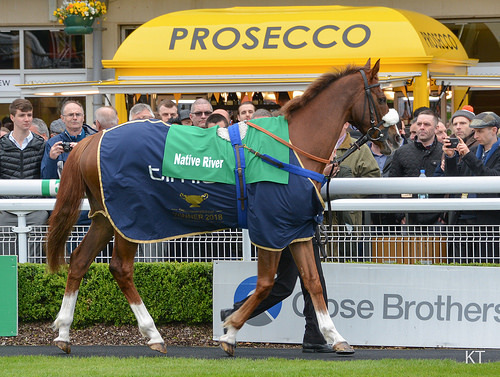 Native River, runner-up to Minella Rocco in the 4m marathon in 2016, outstayed all-comers from the front to land the Cheltenham Gold Cup last season. The Colin Tizzard trained stable star also plundered the Hennessy Gold Cup and Welsh Grand National at Chepstow before reaching his peak. Tiger Roll, meanwhile, triumphed in the National Hunt Chase of 2017 for Gordon Elliott and owners Gigginstown House Stud. That horse was no stranger to Cheltenham Festival success, however, as he landed the Triumph Hurdle over 2m as a juvenile. One year on from his 4m success, Tiger Roll notched a Festival hat-trick with victory in the Cross Country Chase over three-and-three-quarter miles. From there, he continued to prove he comes alive in the spring by landing the 2018 Grand National at Aintree by a head from fellow Irish raider Pleasant Company. 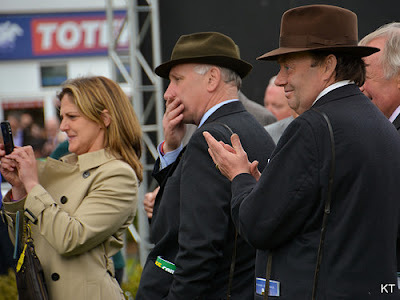 Sizing Tennessee - another Tizzard inmate - plugged on in-behind 2018 National Hunt Chase winner Rathvinden and gutsy mare Ms Parfois, who finished runner-up, to take third. He went on to spring a shock at Newbury in the Ladbrokes Trophy (which is now what the Hennessy is called). When looking for staying chasers of the future, the eye of many punters is drawn naturally to the RSA Chase - also held at the Cheltenham Festival, but ran over 3m. Like the National Hunt, it is a novices over fences only event and has of course thrown up classy types aplenty, but it's no surprise to see horses with even greater proven stamina go on to land the big events over jumps. The ability to stay is a prerequisite for both the Cheltenham Gold Cup and the Grand National, so which horses could follow in the hoofprints of the illustrious Native River and Tiger Roll? Ante post Cheltenham odds for the 2019 National Hunt chase with Paddy Power are headed by the Nicky Henderson trained, JP McManus owned Ok Corral at 3/1. Sired by Mahler - which makes him a half-brother to Ms Parfois - out of a Flemensfirth mare, the nine-year-old has a stamina-laden pedigree which on paper at least suggests he's perfect for this test of endurance. Ok Corral is also two out of two over fences and represents powerful connections who will receive a bonus if winning at the Cheltenham Festival following his debut chase victory. As the rules state you stay a novice if you don't win during the previous season and qualify as such for the following campaign, last year's National Hunt Chase fourth Impulsive Star, who chased Ok Corral home at Plumpton, can run in it again. The Neil Mulholland trained nine-year-old has since landed the competitive Grade 3 Classic Handicap Chase at Warwick over 3m 5f to prove his stamina and that he is capable of winning. At 12/1 with Paddy Power, Impulsive Star looks a solid each-way bet to go better on his second try at 4m given the improvement made this season. He is also the likely mount of top British amateur jockey Sam Waley-Cohen as father Robert owns the horse. Irish counterpart Derek O'Connor rode Ok Corral on the same Warwick card, meanwhile, to a Listed victory, so the plan appears clear for both to line-up again in the National Hunt Chase.